so that your great leadership creates extraordinary results. In-depth psychotherapy guidance to help you strengthen your inner game, by resolving personal challenges - such as anxiety, stress, and low self-confidence - that impact your communication and relationships with others. Communication coaching to improve your leadership presence, power, and impact now. Guidance and close accountability in solving communication breakdowns, conflicts, and stalemates, and increasing influence and results. Not sure whether you currently need therapy or executive coaching? click here to see the differences. Recent technological advances give you the highest quality care and ease via “virtual” (online) therapy and communication coaching. Virtual sessions offer the same high-quality attention as a visit to my office, without backing out of your driveway. In 1996, I walked away from being a co-owner in a large software distribution company, based in the Silicon Valley. My closest friend and I, having graduated from business school at USC, had created and quickly expanded our company to become the largest in its niche. With our growth we added more partners, and our company culture drastically changed. Dysfunctional power dynamics, poor leadership, and strained communication became the new order; and trust, a unified vision and inspiration were forever gone. I left my company, vowing to fulfill a larger purpose of loving my life and my work, and using what I learned to help others navigate toward loving theirs. That led me to the fields of psychology and executive coaching. I believe that leadership is about influence and inspiration, and that intelligent communication changes our lives as individuals, partners, employees, community members, citizens, and the world at large. I created WebPsych to fulfill my own mission of guiding others in mastering their emotional and intellectual selves, and creating highly inspired, supportive, collaborative, creative, and intelligent communication that changes ourselves and everyone’s lives with us. I’ve learned to consistently reinvent myself and my relationships in order to have the personal and professional lives I want. I hope to help you reinvent yours as well. 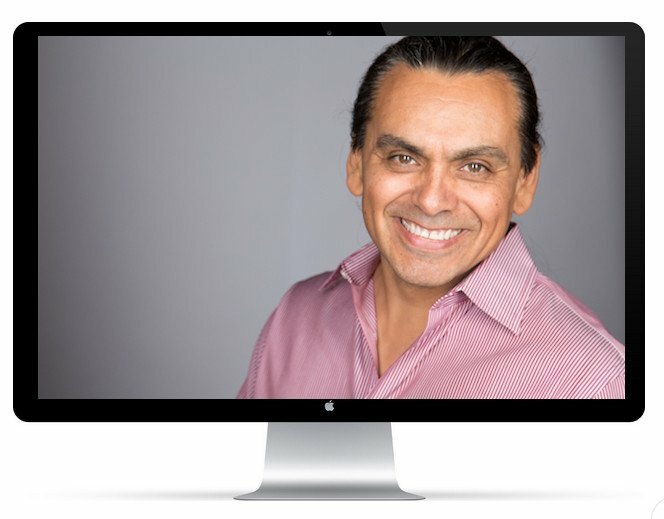 I serve professionals with therapy and executive coaching at my office in the westside of Los Angeles, California, and see clients online via live video sessions. To learn more about me, click here. It’s stressful to spend our days with others who have very different, sometimes clashing, personalities and communication styles, especially when they hold differing values, beliefs, and ideas of teamwork and success. It’s discouraging when our positive intentions consistently don’t result in the positive impacts we strive for. But we can change your direction and your outlook! My Webpsych processes and methodologies will help you get completely grounded and confident in your own intelligent communication style, vision, and leadership presence, giving you more control over your influence and success. When you’re ready to take your relationships in more powerful and inspiring directions, I’ve got you covered! I saw Dr Ortiz for 2 years. He was exceptionally kind and understanding. I shared with him all of my emotional challenges and he was able to give me feedback and helped me make changes in my thinking and life. He provided a very safe environment to share my struggles. Seeking out him as a therapist was one of my best life decisions. I came to see Dr. Ortiz because of non-stop anxiety I've suffered all my life. I had previously been diagnosed with Generalized Anxiety Disorder, but nobody had been able to help me. Dr. Ortiz taught me to "self-soothe", slow down, and to take risks and express myself with people. I learned to ask for what I wanted, rather than fretting over what I wasn't getting or what wouldn't work out for me. Dr. Ortiz is a gem. I don't know how I would have become who I am now without him. I saw Dr Ortiz because I was going through a painful separation/divorce. He helped me confront my grief, understand my anger and sadness, and express what I need. I feel so much more confident now. I have Dr. Ortiz to be an effective and caring therapist. He’s given me and my family insight into destructive behavior patterns we’ve developed, and he’s given us constructive suggestions for doing things differently. Our family dynamics are unquestionably healthier. Dr. Ortiz is one great therapist. Our son began to feel better after the first meeting with Dr. Ortiz, and each week he learned more and made more meanings from his loss. He is happy about that relationship and everything else, thanks to Dr. Ortiz.